Q1: I don’t have a Learner License and want to get one before I ride a bike? A1: If you are a South African citizen and 16-years or older, then visit the nearest testing centre to book for your motorcycle learner license. You’ll need the following to book: 2x B&W ID Photos, Eye Test, ID Book/Card (and a copy), Proof of Residence and a certified affidavit if you are living with someone, and the required license booking and license issue fees as prescribed by that particular test centre. Then go the Pick n Pay, CNA or PNA and buy the K53 Learners Book, or visit www.k53-test.co.za and pre-test yourself before going for your actual Learners Test. You can even buy the book on this website, printed or electronic. Once paid, you‘ll be allowed to log in 5 times to pre-test yourself and check if you are good enough for the real test. Q2: Now that I have my Learner License, how do I get trained? A2: Visit the Academies page and contact a riding school near you. We recommend a regular riding period of 4 – 6 months or 2000-3000km of regular riding experience on your own motorcycle before attempting the K53 Motorcycle Test. To book your K53 Motorcycle Test you’ll need, ID Book/Card (and a copy), 4x B&W ID Photos, Eye Test, Motorcycle Learner License, a Doctor’s Letter of Health if you are 60 or older, Proof of Residence and a certified affidavit if you are living with someone, and the required license booking and license issue fees as prescribed by that particular test centre. Q3: Do I have to use my own bike for training and the K53 Motorcycle Test? A3: Some riding schools offer a smaller motorcycle for training and testing purposes, but this is not always recommended. Do the training and the test on the motorcycle you are most comfortable on, or consider enrolling in an appropriate course to up your skills first. You’ll really feel good about your achievement when you nail the test on your own bike. Q4: Can I get Bank Finance with only a Learner License? A4: Yes, you can but your Insurance Premium will be higher until you obtain your Full K53 Motorcycle License and have done an ARC (Advance Rider Course) with a certified academy. Q5: Can I do my K53 Motorcycle Test on a Scooter? A5: If you do the K53 Motorcycle Test on a Scooter you’ll be licensed to ride a Scooter (automatic transmission) only. If you are older than 18, do your test on a geared motorcycle with engine capacity bigger than 125cc (150cc and up), and you’ll be licensed to ride anything (Code A License). If you are 16 or 17, you may only do your test on a 125cc motorcycle (Code A1) and if you do it on a Scooter the same limitations will apply. Q6: What type of motorcycle licenses do you get? A6: A Code A1 license covers motorcycles or scooters up to 125cc, and mainly done by riders 16 and 17 years of age. 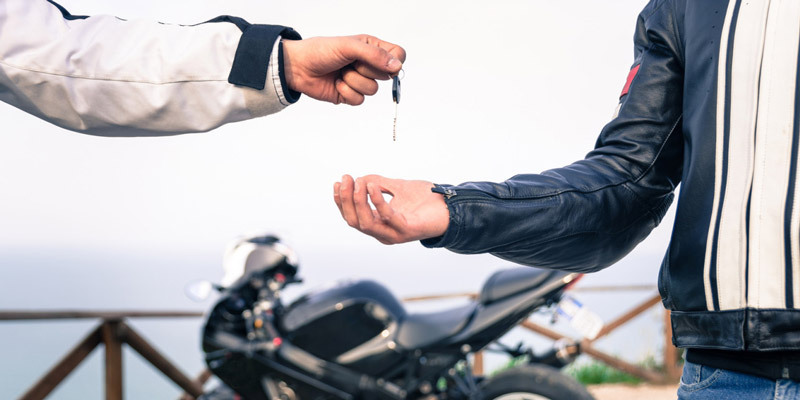 A Code A license covers all motorcycles above and including 125cc, and only done by riders 18 years and older on a motorcycle 150cc and above. Limitations mentioned on Q5 apply. Q7: I’ve got my Code A1 Motorcycle License but now want the Code A License. Do I have to redo my Learners? A7: Yes, unfortunately, you will have to redo your Learner License Test before you can book for the Code A K53 Motorcycle License Test again. Q8: What are the minimum ages for both the Motorcycle Learner License and the K53 Motorcycle License? A8: The minimum age for a Motorcycle Learner License and the full K53 Motorcycle License is 16 BUT, here’s the trick. Parents take note! When your eager-to-ride child turns 16, don’t let them do the Learner License test just yet. If their Learner License expires before he/she turns 18, and wanting to upgrade to a bigger motorcycle or scooter, they’ll have to do the Learner License Test again before they can do the Code A Motorcycle License Test. We suggest you wait a month or so, this way their 18th birthday will overlap their Learner License, and they’ll be able to do the Code A Motorcycle License Test on the same Learner License. Q9: Can I do my test on a Trike or a Motorcycle with a Sidecar? A9: No. You will need to do the same Motorcycle Learner License test and full K53 Motorcycle License test in order to obtain a Code A Motorcycle License. The alternative would be, that is if you are unable to balance or ride a 2-wheel motorcycle, to redo your Motorcycle Learner License every 2 years. Bummer!